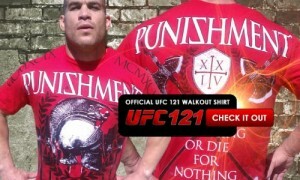 UFC 121 is touted as one of the best fight cards of the year. There is no doubt that it will be. 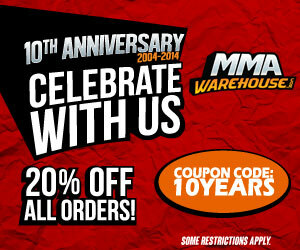 It has an amazing line-up of talented fighters and bouts, especially with the main event of Lesnar vs Velasquez. This heavyweight fight is set to make history as Cain Velasquez can become the first ever Mexican UFC Heavyweight Champion. The fight in itself is ledgendary as Brock Lesnar has exponentially improved his fighting skills as well as his physique (Brock is the leanest he has ever been). Velasquez on the other hand has been known to have superior conditioning and is said to have the best endurance out of all the heavyweights, he is also undefeated. The undercard feature awesome fights as well. It will be the debut UFC fight of Jake Shields who is the former Strikeforce Middleweight champ. And, to add more excitement is Ttio Ortiz vs Matt Hamill. The interesting thing about this fight is that Tito was Hamills coach on the Ultimate Fighter and also have been training partners. It’s time to put their friendship aside when they plan on waging war against each other. 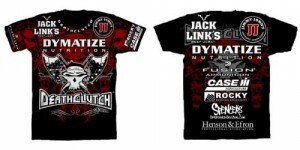 Brock Lesnar’s T shirt is a replica of the shirt he walkout with complete with all sponsor logos. 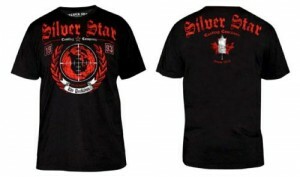 Cain Velasquez T shirt from Dethrone features a Mexican pride theme with flag colors and imagery. 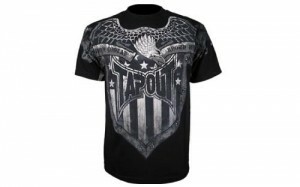 Jake Shields’ Signature T shirt from Tapout has the classic warbird and shield design. 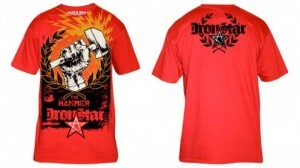 The Tito Ortiz T shirt from Punishment Athletics has a Roman Gladiator theme to amp you up for battle. Diego Sanchez T shirt features a spiritual theme with the image of praying hands. Tom Lawlor’s T Shirt styled after the famous Hulkamania wrestling shirt.